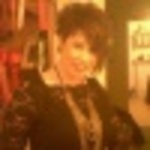 I am an experienced freelance PR and Marketing consultant with over 25 years experience with both B2B and B2C clients. I have worked at Account Director level both agency and in-house...Read moreI am an experienced freelance PR and Marketing consultant with over 25 years experience with both B2B and B2C clients. I have worked at Account Director level both agency and in-house with a variety of clients from blue chip companies to small business start ups. I started my business - White Rabbit PR & Marketing in 2012 and have built a successful business based upon the ethos of delivering to expectations, going that extra mile for all my clients, offering value for money and transparent accountability. I have extensive expertise in the following areas; planning, strategy and implementation of effective marketing and PR campaigns, media relations, crisis issues management, event management, SEO and social media marketing, blogging, CSR, corporate communications, copywriting and design of marketing collateral, script writing for television and radio advertising. I have recently amassed over three years experience writing keyword rich blogs, articles and meta-data for an SEO company to help clients achieve page 1 Google rankings. My experience spans a range of sectors and includes clients within finance, the public sector, technology, charities, professional services, parenting, property, automotive, recruitment, vocational training, catering, homes and interiors, luxury goods, fashion, health and beauty, leisure and gaming. Imn terms of PR I pride myself upon achieving positive media coverage for all my clients within national, regional and trade newspapers/magazines and broadcast media. I believe that I can see a 'hook' and know what makes a good news story. I have many contacts within the media and easily build relationships. My ethos is to provide relevant copy targeted to the right contact. Platforming clients as thought leaders is my speciality. I can produce compelling, creative, accurate copy for any business, working to even the tightest deadlines. I have proven that I have the ability to communicate with editors and journalists building relationships from scratch to generate positive coverage for my clients. I consider myself to be proactive and creative with sharp business focus, and a very confident communicator on all levels. I have won awards for my work and believe that the results which I can achieve speak for themselves. Unfortunately the work produced was not what we expected. Nikki has done some excellent writing for us, and I would recommend her to anyone looking for a writer. I found Nikki to be professional, easy to talk to. She provides good customer service, so mush so, that I will continue to work with her on other projects with her. by UKs #1 SEO Experts ..